If you're planning a late-summer trip, you're probably trying to find the best deals on airfare--a daunting task, considering that prices on tickets for domestic flights have risen by 15 percent since last summer. Most people attempt to minimize the credit card damage by hopping over to CheapTickets or Priceline to find a decent deal. If that's your first and last course of action, however, you're probably paying too much. Instead, check out some lesser-known, human-run Websites for good prices that computers can't catch. Most major airfare-search sites skim fares only from airlines that allow third parties to access and repost fares automatically. As a result, airlines such as Southwest--which doesn't permit fare-bots to access its information--never show up on fare-finder sites, no matter how low their ticket prices are. But a smart shopper knows how to get cheap fares without checking each airline. 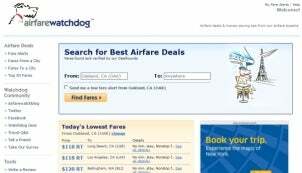 Start with Airfarewatchdog: Rather than relying on algorithms as other price aggregators do, this site uses a small staff to spot and post deals. The site reports only really low prices, so if you select a destination and it doesn't turn anything up, you can request an e-mail alert for when prices drop again. 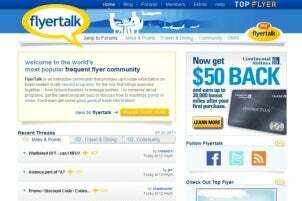 Aggressive deal hounds will also like the airfare forum FlyerTalk, which depends on its detail-oriented users to spot mileage deals, unusually low fares, and mistake fares. (An airline forgot a third digit in the price column? Buy before someone notices what's wrong!) The downside is that the forums have their own language (what's an "ai 3cpm"?) and their own code of ethics; on a forum, you're dealing with a bunch of passionate people, not a company concerned with customer satisfaction. Try the ‘Mileage Run Deals' subforum in the ‘Miles & Points' section to unearth cheap airfare to your destination. What's the number one thing a consumer can do to find a cheap fare these days? George Hobica, CEO of Airfarewatchdog, says, "You have to follow Twitter feeds [for Airfarewatchdog and for the airlines], because e-mail is ponderous and slow. Fares fluctuate like stocks." If there have ever been reasons to join Twitter, wrangling a few extra bucks from an airline to spend on mai tais is one of them.